I Got Great Deals Today! You are here: Home / Great Deals / I Got Great Deals Today! I went shopping today! Yay! I did pretty good! 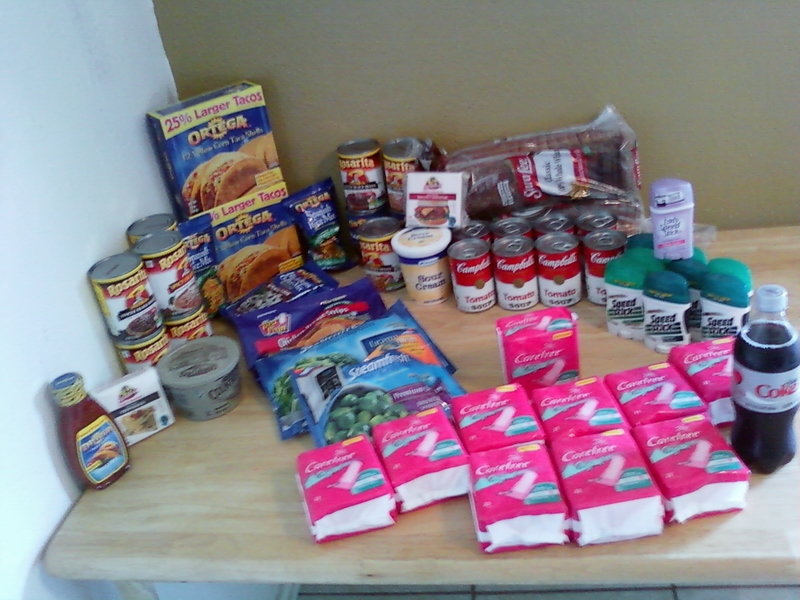 I went to Albertsons, Tom Thumb, Kroger and WalMart! I also made a stop by Murphy USA for a FREE Diet Coke! So, I purchased a grand total of $75.65 in groceries and I spent a total of $19.59! That’s a savings of $56.06! I LOVE it! I am HAPPY! .-= Shelly´s last blog ..Thrifty Thursday: Knowing When a Deal is Not a Deal =-. Thanks, I haven’t gotten out much at all since the surgery, but I am able to walk some now. I am so thrilled to be able to go shopping, but, I still can’t drive so my husband had to drive me everywhere, he’s so sweet!